A long-stalled push to raise the minimum age for buying tobacco and e-cigarettes in Texas has a puff of momentum, thanks to early hearings in both chambers, strong support from Lt. Gov. Dan Patrick and a surprising and quiet change of position by one of Big Tobacco’s leading corporations. GOP leaders of powerful committees in the House and Senate are again lead authors of proposals that would raise the legal age for buying cigarettes, other tobacco products and e-cigarettes from 18 to 21. Since 2007, such proposals have failed to pass into law for lack of support from Republicans who control the Legislature. But there’s another new twist: Big Tobacco registering support for raising the legal age for buying smokes. Altria, the nation’s largest tobacco company, “supports raising the minimum age to purchase tobacco products to twenty-one.” and encourages the Texas Legislature to enact the proposal “without delay,” an Altria Client Services executive, Jennifer Hunter, said in written testimony submitted to the House Committee on Public Health this month. Hunter’s statement did not acknowledge that Altria, which makes Marlboro cigarettes and owns a stake in Juul, the leading maker of e-cigarettes, opposed a similar Texas proposal during the 2017 session. That year, an age-hiking measure offered by Republican Rep. John Zerwas, a Richmond physician, died short of House consideration. Hunter’s statement said FDA Commissioner Scott Gottlieb’s 2018 call to address a national surge in the use of e-vapor products among 12- to 17-year-olds led Altria to “believe the time has come to enact legislation” raising the legal purchasing age to 21. “We are supporting this step because we believe it is the most effective step available to reverse rising underage e-vapor rate,” Altria’s statement said. “Data shows that youth under eighteen get tobacco products — including e-vapor — primarily through ‘social access,’ that is, from friends or siblings who are” 18 or older, Hunter said. Several vape shopkeepers urged the House panel to reject the change in age while Schell Hammell of the Smoke-Free Alternatives Trade Association — which has as a slogan, “Saving Vaping Every Day” — said the group hopes lawmakers clarify the ability of local jurisdictions to regulate sales. In 2017, Zerwas, who chairs the budget-drafting House Appropriations Committee, shrugged off criticisms of the raise-the-age proposal. “There’s obviously some people who are going to see this as an infringement on rights and stuff, and those voices need to be heard,” Zerwas said then. “And yeah, that’s a loss of potential revenue, but one we can probably make up somewhere else. Multiple individuals told the Senate panel Monday that the move to raise the age is a bad idea, particularly because the change would incongruously keep young men and women who risk their lives by enlisting in the military from being able to make their own choices to use cigarettes and e-cigs. That’s the one argument that has any merit, in my opinion. Eighteen isn’t universal, however, as the drinking age can attest. The very clear health benefits of a 21-year smoking age versus an 18-year smoking age is more than enough to outweigh the philosophical objections. According to the Chron, one of these bills – SB21 in the Senate, HB749 in the House – has a solid chance of passing. I’m rooting for them. You’d think this would have a decent chance of passing. Legislators in Texas, one of just nine states that permit the sale of e-cigarettes to minors, will consider banning such sales amid concerns about growing use of the “safer” alternative to smoking among youth. Even as the Texas Medical Association and Texas Public Health Coalition plan to lobby the 2015 Legislature to regulate e-cigarettes, three bills have been filed to forbid their sale to anyone under 18, a group now found to favor the battery-powered devices that turn liquid nicotine into a vapor the user inhales. The product isn’t considered harmless, particularly in young people. Alvarado, who as a Houston City Council member spearheaded passage of the ordinance that bans smoking in restaurants and bars, said she’s optimistic the Legislature will pass a bill restricting the sale of e-cigarettes. The idea enjoys bipartisan support, she said, and she is not aware of any likely opposition. The other bills were filed by Sen. Juan Hinojosa, D-McAllen, and Rep. Ryan Guillen, D-Rio Grande City. The planned lobbying effort by the Texas Medical Association and Texas Public Health Coalition stresses banning e-cigarette sales to minors but also includes extending state regulation of tobacco products to e-cigarettes too. Other provisions would fund research on e-cigarettes’ effects and provide for more school-based education about the effects of e-cigarettes, nicotine, tobacco, and other addictive substances. But Dr. Eduardo Sanchez, a Texas Medical Association leader and chairman of the Texas Public Health Coalition, said prohibiting sales to minors is the most important goal. Rep. Alvarado’s bill is HB 170. 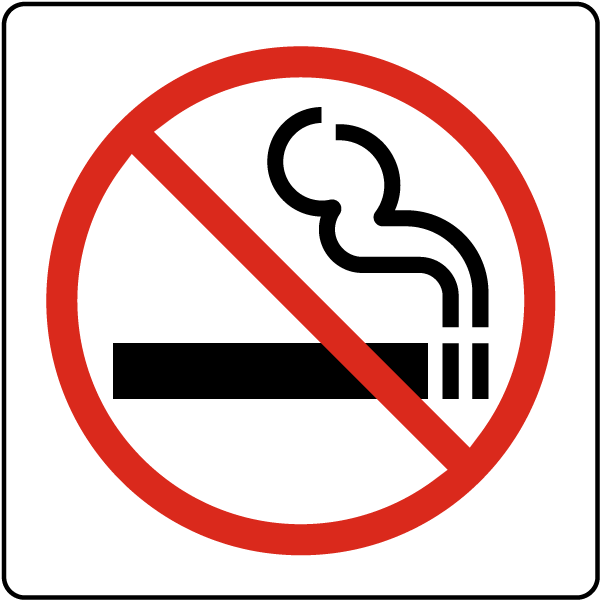 SB 96 and SB 97, both filed by Sen. Hinojosa, would prohibit the use of vapor products on school property, and apply many of the regulations on cigarettes to vapor products, respectively. Some cities outside Texas have taken action to treat e-cigs the same as regular smokes, though cities like Houston have not done so yet. That may change depending on what the state does. None of the usual arguments against statewide smoking bans apply in a case like this, and as Rep. Alvarado notes it’s hard to imagine any lobbying being done in opposition to these bills. Doesn’t mean they’ll pass – it’s always a matter of priorities as much as anything – but if this gets on the calendar I’ll expect it to wind up on Greg Abbott’s desk for a signature. The World Health Organization wants them to be regulated more strongly. Governments should ban the use of electronic cigarettes indoors and in public places and outlaw tactics to lure young users, the World Health Organization said in a report released on Tuesday. It also raised concerns about the role of big tobacco companies in the fast-growing market. It also called for regulation to ensure the products contain a standard dose of nicotine, as the drug content now varies widely between manufacturers. And to stop children from picking up the habit, it said that e-cigarette sales to minors should be banned and that fruity, candy-type flavorings should be prohibited. Electronic nicotine delivery systems “are the subject of a public health dispute among bona fide tobacco-control advocates that has become more divisive as their use has increased,” the report notes. Some experts embrace them as a means of reducing the harm associated with traditional cigarettes while others view them as a threat to the progress that has been made in “denormalizing” the use of tobacco. The report is here. I’ve been following this stuff because while some municipalities are treating e-cigarettes like traditional tobacco products, others like Houston have made no move to amend their existing anti-smoking ordinances. Some jails in Texas are allowing the use of e-cigarettes on the less-harmful-than-tobacco theory, while others aren’t. It’s a coming public debate, and as things stand right now there’s a lack of information about their effects. A lot of entities are waiting to hear more from organizations like the WHO and the Surgeon General. Also in the news: adolescents who use e-cigarettes are much more likely to try tobacco, according to the CDC. The morass of conflicting information about e-cigarettes and tobacco use grew deeper Monday, when the Centers for Disease Control and Prevention released a new study showing that adolescents who vape say they are much more likely to smoke conventional cigarettes. The results show that 43.9 percent of sixth- through 12th-graders who had used e-cigarettes said they intended to light up conventional cigarettes over the next year, compared with 21.5 percent of youth who had never used the electronic nicotine delivery systems. Overall, more than 263,000 adolescents who had never smoked before used e-cigarettes in 2013, up from 79,000 in 2011, the CDC reported in a study in the journal Nicotine and Tobacco Research. The data come from the agency’s National Youth Tobacco Surveys for 2011-2013. The study also showed that 21.9 percent of the youth who had never smoked traditional cigarettes intended to give them a try in the next year — almost exactly the same proportion as the 21.5 percent who had never tried an e-cigarette — and that, overall, the percentage of youths who reported an intention to smoke declined “significantly” in the 2013 survey. We all know that smoking is terrible for you, but we don’t yet know how much, or even if, e-cigarettes are “better” than tobacco. If there is a correlation between vaping and smoking among teenagers, that’s a pretty strong piece of evidence that they’re not any better. E-cigarettes are not affected by the city of Houston’s smoking ban. For now, anyway. When city officials announced a sweeping ban on smoking in public parks last month, many in Houston’s growing ranks of electronic cigarette users worried the new rules applied to them. They do not, but the concern was well founded. Of the country’s five most populous cities, Houston is the only one without a ban on where the devices can be used. There is not enough research on the relatively new, battery-powered plastic or metal tubes that heat liquid nicotine to know their medical effects, leading many cities to preemptively ban them and others to watch how the national debate plays out. For now, Houston is in the latter group. E-cigarettes emit a water vapor rather than smoke. While most health officials agree using e-cigarettes, known as “vaping,” is less harmful than traditional smoking, many have raised concerns about whether the devices reduce or lead to conventional smoking. Other unknowns include precisely what chemicals the water vapor contains and whether bystanders absorb any nicotine. Even as Houston has expanded its general smoking restrictions, officials have been hands-off with the controversial devices. The city smoking ordinance does not include e-cigarettes. A spokeswoman for Mayor Annise Parker said it is not something the administration is looking to change, largely because e-cigarettes are not considered a tobacco product. The American Lung Association’s Houston chapter, however, is advocating for the city take the approach of other large urban areas and ban them in the same places as regular cigarettes while the health risks remain unknown. Some city officials, too, are keen on broaching the issue. Council member Jack Christie, a chiropractor with strong opinions on health policy, said he would like to see restrictions on e-cigarettes in public places, voicing concern about the potential effects of second-hand vapor. Council member Ellen Cohen, chair of the Council’s Quality of Life Committee, also has concerns about second-hand vapor and said she would like to see more federal guidance before considering whether to include them in the city’s smoking ordinance. As you know, I’ve been wondering about this. I’m okay with things as they are now – as the story notes, there’s no litter issue with e-cigarettes, and I don’t think they’re nearly as prevalent as the traditional kind; I know I’ve not encountered any vapers in public spaces as yet. Should there be further regulation at the federal level – which multiple states and local health officials are asking for – or more research showing that they’re harmful, especially to people in their vicinity, then that would be a different story. Until then, I can live with the status quo. As a way to allow some inmates to get their nicotine fix and sheriffs to shore up tight budgets, county jails across the country have begun selling electronic cigarettes. Though the trend has largely bypassed Texas, jail officials say that could change as sheriffs begin to warm up to the smokeless technology. While traditional cigarettes are banned from most jails, vendors of e-cigarettes, which vaporize a liquid solution for inhalation, see a big market in Texas. The 245 jails regulated by the Texas Commission on Jail Standards have a combined capacity of about 95,000. Shannon Herklotz, the commission’s assistant director, said he knew of only two county jails in Texas that allowed electronic cigarettes. But more sheriffs, primarily in rural counties with smaller facilities, have expressed a cautious interest in selling them, asking questions about the technology, he said. “It’s not that it’s not allowed. It’s up to each individual sheriff,” said Herklotz, who supports banning e-cigarettes to prevent issues with contraband at jails. With county jails facing budget shortfalls, e-cigarette vendors are pushing their products as a way for sheriffs to supplement revenue and help inmates suffering from withdrawal. One vendor, Precision Vapor, recently began selling e-cigarettes to the Titus County Jail in Northeast Texas. Brian McGiverin, a prisoner rights lawyer at the Texas Civil Rights Project, said that most jails strictly banned tobacco but that sheriffs were likely to view e-cigarettes more favorably because they are less of a fire hazard than traditional cigarettes. The Harris County Jail, the state’s largest, does not allow inmate use of e-cigarettes because of the negative health effects of nicotine, the potential for these items to be traded among inmates as “currency” and the potential for misuse of the lithium battery and vaporizing function of the items. We are not aware of any vendors approaching our staff to discuss adding e-cigs to our list of inmate commissary products. As noted before, my main concern is that the health effects of e-cigarettes are not well understood at this time. If they turn out to be helpful in getting people to quit tobacco and they don’t have any harmful effects of their own, then I can see the merit in this, though Bernstein’s point about the potential for misuse is well taken. The bit about e-cigarette sales being helpful to counties with tight budgets and “easing the burden” on taxpayers, however, makes me queasy in the same way that expanded gambling does. Being dependent on a potentially volatile income stream that is in turn highly dependent on the habits – in many cases, addictions – of a small number of mostly vulnerable people but which is invisible to most everyone else strikes me as bad public policy, one that comes with a built-in set of skewed incentives. Maybe I’m wrong – maybe e-cigarettes don’t have much in common with the tobacco kind – but until we know that I’m very skeptical of this. After a 2011 ordinance banned indoor smoking in public places around San Antonio, some smokers were left trying to find options to leave tobacco behind. In the ensuing three years, electronic cigarettes and vaporizers have seen exponential growth around the country, with several retail outlets popping up in and around San Antonio. Monster Vape, co-founded by Christopher Zieg, opened its doors in 2012, and in two years expanded into two more San Antonio stores and a Corpus Christi franchise. Zieg, a former U.S. Military medic, said he knew the dangers of smoking, but had trouble quitting until he attended a concert and saw the singer vaping onstage. His personal success with quitting smoking after switching to vaping five years ago inspired him to set up shop as he finished his military service in San Antonio. “Being a medic and seeing what e-cigs have done for me, I wanted to pass that on to other people,” Zieg said, citing a number of benefits, including a lack of tobacco smells on clothing and vehicles, better energy levels, and perhaps most importantly the fewer number of chemicals found in the fluids used in vaporizers. The health effects of e-cigarettes are currently unknown, and some early reports have mixed news so far. The new smokes are not yet regulated by the FDA, but I strongly suspect they will come under close scrutiny. I also suspect that local governments, which have been very active in banning tobacco use in public spaces, will not wait for a final word from the FDA to act on their own. While the federal government works out new rules for electronic users, several city governments have started the push to include electronics in existing anti-smoking ordinances. In December, an ordinance passed by New York City Council added vaporizers to the city’s smoking ordinance, treating them as tobacco products and prohibiting their use indoors. Similar ordinances have passed in Chicago, Los Angeles, and King County, Washington, which includes several cities, most notably Seattle. Cities in Texas have followed suit, including Georgetown, Soccoro, and Frisco, which – like New York – amended previous ordinances, and San Marcos, which made a last-minute inclusion of vaporizers to its first smoking ordinance during its final reading, drawing criticism from shop owners. “I just don’t think they did their research before making that decision,” said Sharon Teal, owner of Ahh Vapors, LLC in San Marcos. She cited studies released by the Consumer Advocates for Smoke Free Alternatives Association, showing e-cigarettes to be far less harmful than cigarettes. In cities where the jury is still out on the inclusion of electronics in smoking ordinances, several businesses have introduced their own bans shutting out vaporizers. To Zieg, this will cause vaporizer users to find other businesses where they can vape. “If you have two coffee shops and one says ‘no’ and one says ‘yes,’ the vapers are going to go where they’re allowed to do what they love,” Zieg says. That may be true, but it’s as likely that the non-vapers, of whom there are many more, will choose to stay away. Be that as it may, I don’t know how much this is on the radar of Texas cities yet. I admit I don’t get out much, but I think I’ve maybe seen one or two people vaping ever, whereas I still see plenty of the old-fashioned kind of smokers. On the one hand, it would probably be easy enough for most cities to simply amend their existing no-smoking ordinances to include e-cigs – at this time, I doubt there would be that much organized opposition, certainly not as much as there was when the ordinances were first passed. On the other hand, I doubt there’s much of an organized push to get those ordinances updated, either, so for now I’d say most city councils have bigger fish to fry. What do you think about this? Would you like to see Houston or your city act now on e-cigs, or maybe consider the matter later? Would you go even farther than that? Leave a comment and let us know.